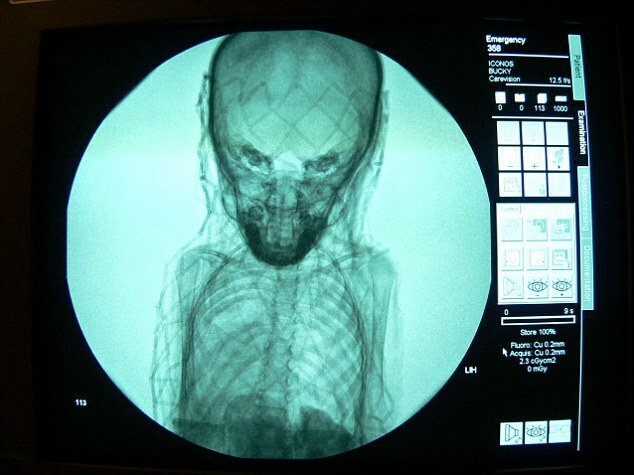 An Abnormally large skull discovered on child in a recently re-discovered Sarcophagus. This story was sent in by a reader you are welcome to read more about this one here. Would like to know your thoughts on why the child had such an unusual head? I remember on Ancient aliens they did said egyptions had a history of 'wrapping' the skull to make it elongated to look of a higher class. However a large skull on a child is not possible from bandage wrapping as it takes time for the skull to elongate. He was likely born this way. Could this be the smoking gun we've all been waiting for? I think this latest comment from the DM explains it well enough. Actually no Chris; The Egyptians often depicted their Gods/Goddeses w/elongated skulls exactly like the abnormality this child exhibits. It's a common belief the Egyptians used a technique of wrapping their heads tightly in dressing which would cause their skulls to grow misshapen like this in the hopes that they'd please their Gods & Goddesses by mimicking their appearance, other's believe they were genetically different/altered, or it's a result of severe deformation. 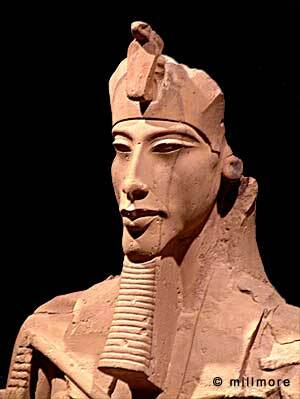 Ancient Egyptians often depicted the pharaoh Akhenaten(& his entire family) with extremely enlongated heads. Many members of the 18th Dynasty were depicted/discovered w/the elongated skull or the dolichocephalic heads; this's nothing new, & not a natural shape/common occurrence in children today by any means. In fact, the level of Elongation exhibited by this specimen's extremely rare, & resembles what's depicted in the infamous princess Nefertiti sculpture, in which she appears w/a misshapen skull that almost seems extraterrestrial.